Dealers won't want to be stuck with 2009 Mercedes-Benz CLK models when a new 2010 CLK is on the horizon; use this to your financial advantage when negotiating. The 2009 Mercedes-Benz CLK-Class is awash in expensive luxury and complex engineering. TheCarConnection.com's editors drove the new Mercedes-Benz CLK-Class in order to give you an expert opinion. TheCarConnection.com's car experts researched available road tests on the new Mercedes-Benz CLK-Class to produce this conclusive review and to help you find the truth where other reviews might differ. The 2009 Mercedes-Benz CLK-Class is a handsome car with a modern yet classic Mercedes-Benz appearance. Editors at TheCarConnection.com like that all V-8 models get AMG styling details, including a different front air dam. The CLK-Class encompasses five models, including the CLK350 coupe and cabriolet; the CLK550 coupe and cabriolet; and the uber-high-performance CLK63 AMG Cabriolet. Joining these five for 2009 is the limited-edition CLK350 Grand Edition. Only 1,000 versions of the Grand Edition coupes and cabriolets will be produced. Both models feature Sport body styling and 18-inch AMG wheels, and they come standard with a six-disc CD changer and heated front seats. The exterior of the Grand Edition coupe is Palladium Silver with a Tobacco Brown leather interior, beige stitching, and aluminum trim, while the cabriolet is finished in Diamond White and the same interior except for dark brown ash wood trim. 5.5-liter V-8 engine producing 382 horsepower and 391 lb-ft of torque. The AMG models get a hand-assembled 6.2-liter high-performance V-8 producing an asphalt-smoking 475 horsepower that can propel its surrounding convertible body to 60 mph in approximately 4.6 seconds. All 2009 Mercedes-Benz CLK-Class cars use a seven-speed automatic transmission. Acceleration is never an issue with the Mercedes-Benz CLK-Class. Of course, V-8 models are quite impressive when moving away from a stop. Editors from TheCarConnection.com have only one complaint (and it's a common issue with several Mercedes-Benz vehicles): The steering feel isn't the best. It tends to be slower than our enthusiastic drivers like, and there is a "dead" spot on center. Aside from this flaw, the 2009 Mercedes-Benz CLK-Class, regardless of which powertrain or body style you select, would be easy to live with. Detailing is a Mercedes-Benz strong suit, and the leather mixed with chrome accents is pleasingly blended. Inside the 2009 Mercedes-Benz CLK-Class, there's plenty of room up front, and the rear seats are acceptable for modest cross-town trips. But if you really wanted room for four or five, you'd pick a sedan, right? 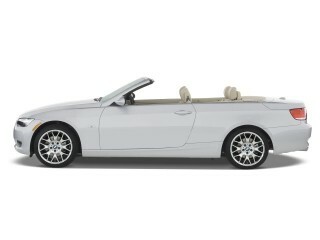 In these days of retractable hardtops, some buyers might see the CLK Cabriolet's soft top as a safety issue. Experts from TheCarConnection.com don't, but we appreciate the extra refinement these tops provide. Electronic stability control and a full range of airbags (including side curtains in coupes) help the 2009 CLK-Class win accolades for being prudent and thoughtful. 2009 will most likely be the last model year for this generation of CLK. 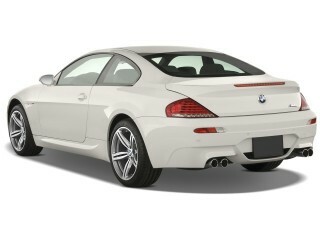 Experts at TheCarConnection.com know that an all-new E-Class Coupe will arrive as a 2010 model, with a new convertible following. 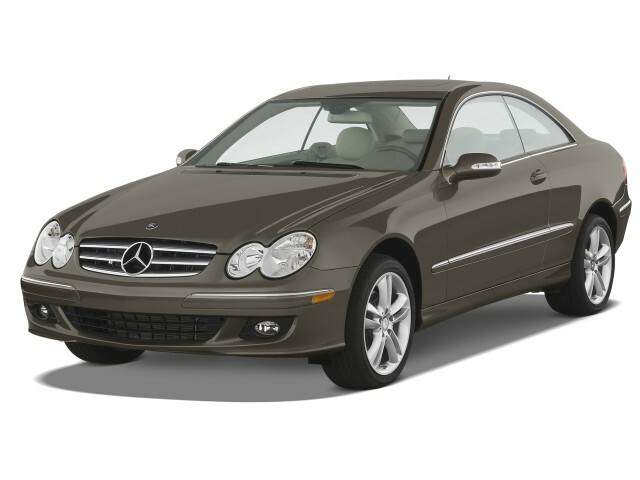 The 2009 Mercedes-Benz CLK-Class is a handsome vehicle with a modern yet classic Mercedes-Benz appearance. The 2009 Mercedes-Benz CLK-Class exemplifies the tradition of Euro styling, and unlike other Benzes, the look isn't forced. A more complete description of the 2009 Mercedes-Benz CLK-Class comes from Cars.com: "Mercedes-Benz's three-pointed star sits at the center of a low, wide grille...twin ellipses form a single headlight unit on each side of the grille." The reviewer notes that "elegance is the CLK350's front-end theme, while sportiness takes precedence in the CLK550, [and the] CLK63 AMG has a hunkered-down stance with bulging fenders, taking inspiration from Mercedes-Benz's race cars." Car and Driver calls the CLK-Class "dignified styling"; Kelley Blue Book says the Mercedes-Benz CLK-Class' "timeless design remains fresh and alluring," adding that the "stunning Cabriolet takes full advantage of the rakish CLK lines." Editors at TheCarConnection.com like that all V-8 models get AMG styling details, including a different front air dam, and unlike the reactions to most automotive interiors, reviewers express almost equal admiration for this Mercedes-Benz 2009 interior. Car and Driver says the Mercedes-Benz CLK-Class "interior is posh," while Edmunds notes this Mercedes-Benz 2009 model as having a "cabin [that] is appropriately sumptuous, with plenty of leather, wood and elegant chrome." ConsumerGuide reports "monochromatic interior panels and carbon fiber trim," while Kelley Blue Book comments on this Mercedes-Benz CLK-Class' "familiar Mercedes-Benz styling cues." The 2009 Mercedes-Benz CLK line performs well, although steering isn’t responsive enough for a sporty coupe. The 2009 Mercedes-Benz CLK-Class is a Mercedes that is unlikely to elicit complaints from any but the most hard-core purists—and the Black Series addresses their grievances. ConsumerGuide states that the 2009 Mercedes-Benz CLK-Class Black Series features "razor-sharp handling response...the Black Series carves corners with minimal body lean and exceptional steering feel...straight-line stability is also top-notch." Kelley Blue Book simply reports "a rigid body, firm ride." Where AMG models are set up as hard-charging sports coupes, the CLK offers a slightly more relaxed driving experience in base versions. Car and Driver tags the base versions as softer: "the CLK is really more about luxurious cruising than back-road driving." 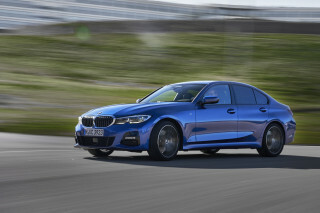 Edmunds also notes what motor-sport enthusiasts would consider flaws: "serious enthusiasts are apt to prefer the sharper reflexes of the less expensive BMW 3 Series coupe...supercar personality is marred by its steering, which feels lackluster compared to the rest of the car." Edmunds remarks that the "latter complaint doesn't apply to the sharply focused Black Series coupe, however, as its recalibrated steering provides quick and wonderfully accurate response." Judging by Kelley Blue Book reviewers' comments, it is apparent that each of the Mercedes-Benz CLK-Class engines are designed to appeal to different sensibilities: "where the CLK350 and CLK550 clearly place luxury above any really serious performance ambitions, the 475-horsepower CLK63 AMG and 500-horsepower AMG Black Series make no bones about their intentions...the 2009 Mercedes-Benz CLK550's V8 develops 382 horsepower, which rockets the car forward while leaving behind the unmistakable note of a V8 exhaust." According to Cars.com, this Mercedes-Benz 2009 offers four different engines: "a 268-horsepower, 3.5-liter V-6 goes into the CLK350 coupe and Cabriolet, while a 382-hp, 5.5-liter V-8 powers CLK550 models...the CLK63 AMG Cabriolet holds a 475-hp V-8 that makes 465 pounds-feet of torque. The CLK63 Black Series coupe makes 500 hp." ConsumerGuide observes "plenty of power in all engines...the V-6 has plenty of power, and the V-8 is seriously quick." Cars.com reports that all of these Mercedes-Benz 2009 models "use a seven-speed automatic transmission," for which "Touch Shift permits manually selected gear changes." According to Edmunds, "AMG versions feature modified programming for ultra-quick gearchanges." ConsumerGuide says the Mercedes-Benz CLK-Class "transmission is sharp and responsive." None of the sources consulted by TheCarConnection.com's team of automotive experts have anything specific to say on mileage figures on any particular Mercedes-Benz CLK-Class engine, but for the smallest V-6 that powers the CLK350, the EPA estimates 17 mpg in city traffic and a respectable 25 mpg highway. Like most coupes, the front seats in the 2009 Mercedes-Benz CLK-Class are comfortable and roomy, but the rear seats are somewhat cramped. Reviewers studied at TheCarConnection.com generally conclude that the 2009 Mercedes-Benz CLK-Class is fine for two passengers, but four can be a tight squeeze. Car and Driver warns "rear-seat space is tight for adults." According to Kelley Blue Book, Mercedes-Benz CLK-Class seats "offer a wide range of positions, including the ability to raise the seat bottoms to a significant rake." Cars.com reports that each Mercedes-Benz CLK-Class model "holds four occupants on leather-upholstered seats." ConsumerGuide says "headroom and legroom are adequate for six-footers, though folks taller than that will be short on both," adding, however, "Black Series cars have specific sport seats that keep occupants snug during spirited driving, though some drivers will want more lumbar support." According to Edmunds, the 2009 Mercedes-Benz CLK "rear seats fold down completely, providing a flat load floor that allows long items to be carried inside the car." ConsumerGuide says the Mercedes-Benz 2009 offers "good space by absolute standards, but the cargo hold is shallow and doesn't extend far back, [and] interior storage is subpar." According to Motor Trend, the convertible versions have “Inch-thick padding and slippery aerodynamics (0.30 Cd) that make the convertible nearly coupe-quiet inside at speed, and reinforcements boost chassis stiffness 12 percent over the previous model.” But the CLK isn’t the quietest in its class. Says ConsumerGuide, "the throaty V8 engine makes its presence known regardless of whether it's idling or at full throttle...there's moderate body drumming and plenty of coarse-surface tire thrum as well." The abundance of active and passive safety devices earns the 2009 Mercedes-Benz CLK-Class a near-perfect score. Only the absence of test data keeps the 2009 Mercedes-Benz CLK-Class from earning a perfect 10 in safety. Neither the Insurance Institute for Highway Safety (IIHS) nor the National Highway Traffic Safety Administration (NHTSA) has crash-tested the 2009 Mercedes CLK-Class. However, TheCarConnection.com scores the 2009 Mercedes-Benz CLK-Class high in the area of active and passive safety devices. Edmunds reports that the 2009 Mercedes-Benz CLK-Class convertible "features large side windows and a relatively slim roof design for good top-up visibility." While drivers of the CLK-Class coupe enjoy an exceptionally clear view behind the wheel, according to Kelley Blue Book, "the absence of a center pillar between the front and rear window on each side...improves active safety by allowing an unobstructed view, with the windows in place or lowered." Edmunds also notes that Mercedes-Benz 2009 "rear side airbags on convertibles are optional," although they are standard on the CLK63 AMG, and "pop-up roll bars behind the rear seats that deploy in a roll-over are standard." Cars.com reports that all Mercedes-Benz CLK-Class models "have four side-impact airbags...front-seat side-impact airbags in [Mercedes-Benz CLK-Class] Cabriolets provide head and thorax protection, while [Mercedes-Benz 2009] Coupes have full-length side curtain airbags, [while] antilock brakes and an electronic stability system are standard." The 2009 Mercedes-Benz CLK-Class offers plenty of standard and optional equipment. Despite the lack of a retractable hardtop—which is pretty much expected in this category of vehicle—the 2009 Mercedes-Benz CLK-Class sticks with a soft top. However, most reviewers love it. Otherwise, whether as a coupe or a convertible, the CLK comes equipped as you’d expect for a high-end luxury car. Edmunds says that Mercedes-Benz CLK-Class Cabriolets' "standard and optional equipment levels essentially mirror those of the coupes." Other Mercedes-Benz CLK-Class options as cataloged by Kelley Blue Book include "SIRIUS Satellite Radio, bi-xenon headlamps and an electronic trunk closer." Kelley Blue Book notes the 2009 Mercedes-Benz CLK-Class lineup offers "numerous options grouped into packages." Edmunds reports "option highlights depending on trim level for the CLK-Class include a navigation system, bi-xenon adaptive headlights, heated and ventilated front seats, the Logic 7 sound system, a glovebox-mounted CD changer, satellite radio, rear parking sensors and keyless ignition (Keyless Go)." According to Cars.com, standard equipment also includes "a Tele Aid emergency assistance system, automatic dual-zone air conditioning with a sun sensor, 10-way power front seats and rain-sensing wipers." For audiophiles, a "Harman Kardon LOGIC7 system offers seven-channel digital surround sound" in these Mercedes-Benz 2009 models. Of the four Mercedes-Benz CLK-Class trim levels: the "base CLK350 has a seven-speed automatic transmission, front and rear fog lights, Bose audio, front side-impact and front and rear head-curtain airbags, automatic roll bars (Cabriolet), 10-way power leather seats, Electronic Stability Program with traction control, a leather-wrapped steering wheel with touch controls and memory for the front seats, outside mirrors and steering column position,” says Kelley Blue Book. Looking for a different year of the Mercedes-Benz CLK Class?